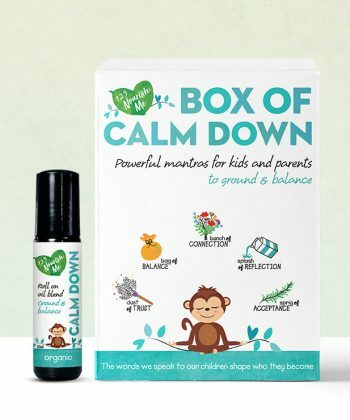 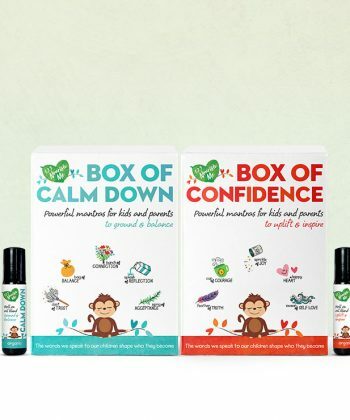 Box of Calm Down is a precious box of powerful words designed to ground, balance and encourage connection between parent and child. 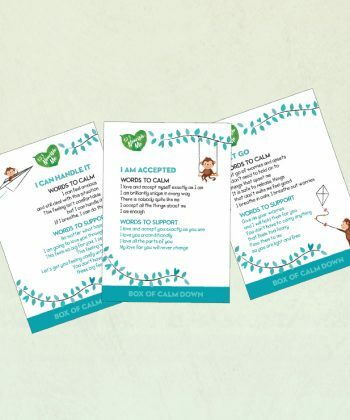 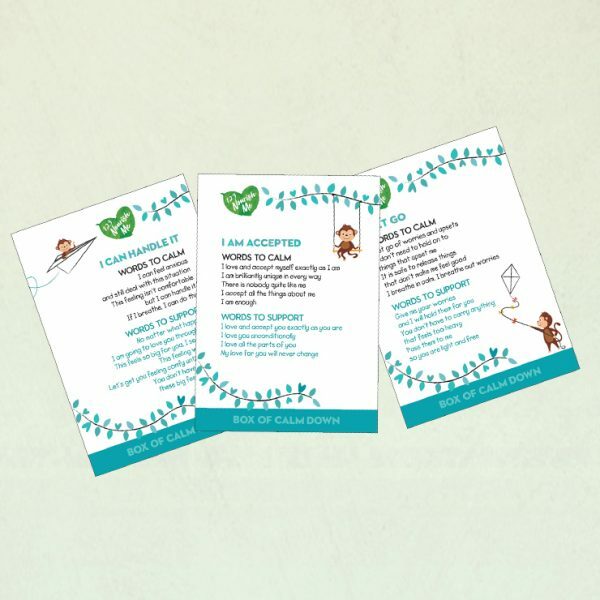 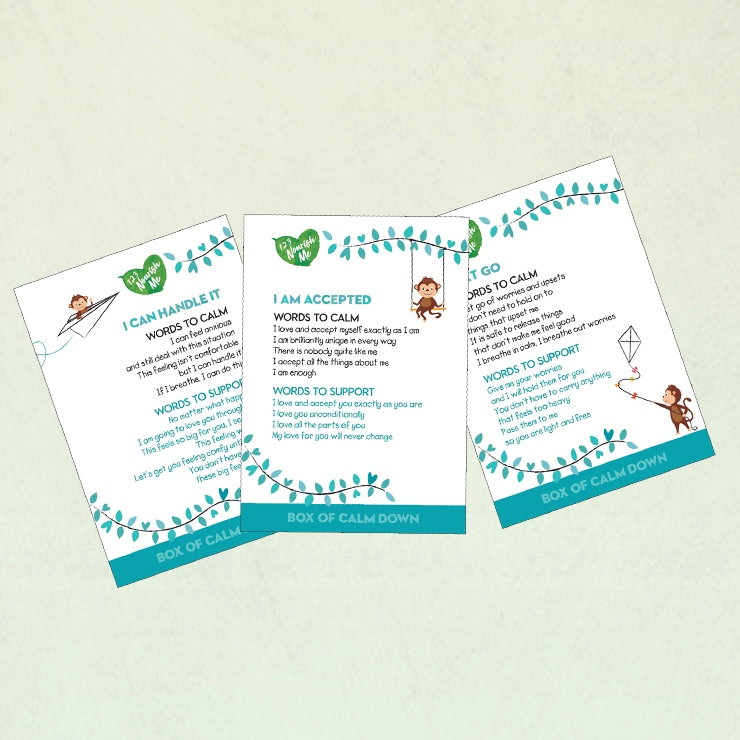 Box of Calm Down gives your child the words to build strength and their own inner voice. 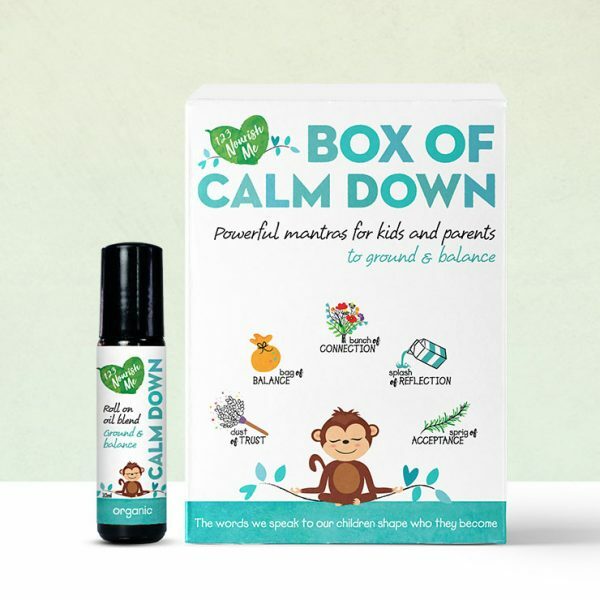 What is the Box of Calm Down all about?